Wow! This cake is so delicious! 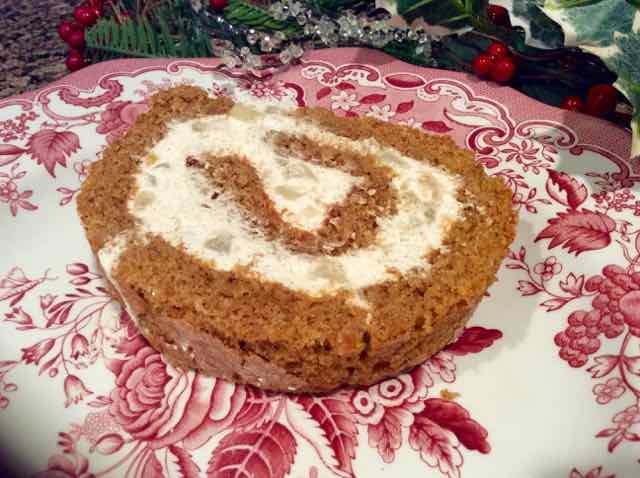 The perfectly spiced gingerbread cake has a to die for spiced whipped cream and pear filling. It is a sophisticated cake that makes a nice presentation. Perfect to serve for Holiday dessert. I adapted the Taste of Home recipe into a gluten free version. The cake texture is perfect, but it did crack when unrolled. When filled and rolled back up the cracks were barely noticeable and the cake still looked lovely. This recipe is a keeper. 1) Preheat the oven to 375℉. 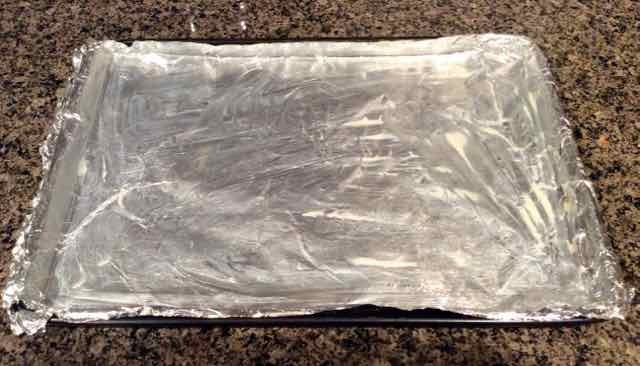 Prepare a 15x10x1-inch jelly roll pan by lining it with foil and then greasing the foil well with butter. Set aside. Spread a dish towel (not the fuzzy kind) out flat on the counter and sprinkle the 2 Tbs. of confectioners sugar evenly over the towel. Jelly roll pan lined with foil and greased well. 2) In a large bowl or the bowl of a stand mixer beat the eggs and egg yolks with the ⅔ cups sugar for about 5 minutes or until they become thick and pale yellow in color. Eggs and sugar beaten until thick and pale yellow. 3) Add the butter and molasses and mix in. 4) In a separate bowl add the flours, xanthan gum, spices and baking powder and mix well. 5) FOLD the flour mixture into the egg mixture using a large silicone spatula. It should be folded in and not mixed in to add volume and lightness to the cake. 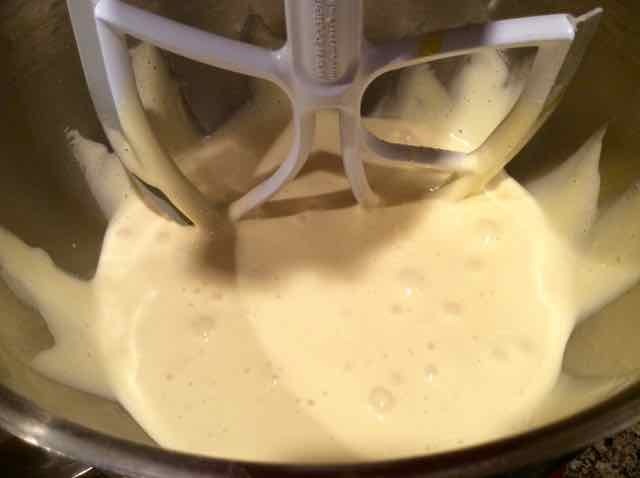 Batter after flour has been folded into the egg mixture. 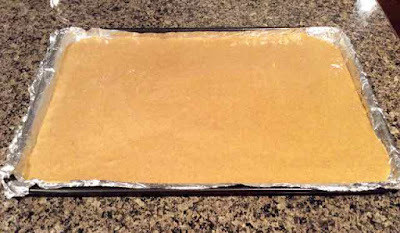 6) Spread the batter evenly into the prepared jelly roll cake pan. 7) Bake for 9-11 minutes or until the center springs back when touched lightly with a finger. 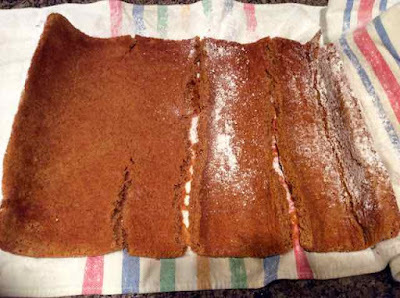 8) Allow the cake to cool for 5 minutes and then turn it out onto the prepared dish towel. 9) Remove the foil carefully. Beginning at the short end roll up the cake in the towel. Set the cake rolled in the towel on a rack (with the seam side down) to cool completely. 10) While the cake is cooling make the filling. 11) Peel, core and chop the pears. 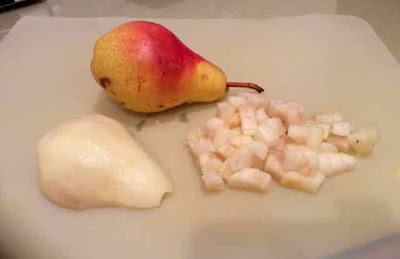 Pears, peeled cored and chopped. 12) Heat a small skillet on medium heat and melt the butter. 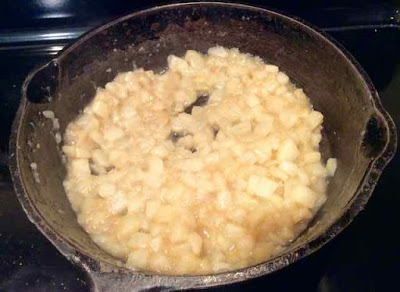 Sauté the pears in the butter until tender. While they are cooking add the tsp. of sugar and the pinch of cinnamon and ginger to the pears. Stir frequently allowing the excess liquid to evaporate. When done, remove the pan from the stove and stir in the vanilla. Cool the pears completely before using in the recipe. 13) In a large bowl beat the whipped cream, 2 Tbs. confectioner’s sugar, cinnamon and ginger and beat on high until stiff peaks form. 14) When the pears are completely cooled fold them into the whipped cream. Whipped cream with pears added. Whipped cream after folding in the pears. 15) Unroll the cake. Spread the filling evenly over the cake leaving a ½ inch border around the edges. Roll up the cake (without the towel) and place seam side down on a serving platter. You can trim the ends with a knife to make a nicer presentation (and give the baker a treat). The cake cracked when unrolled, but held together when filled and rerolled. 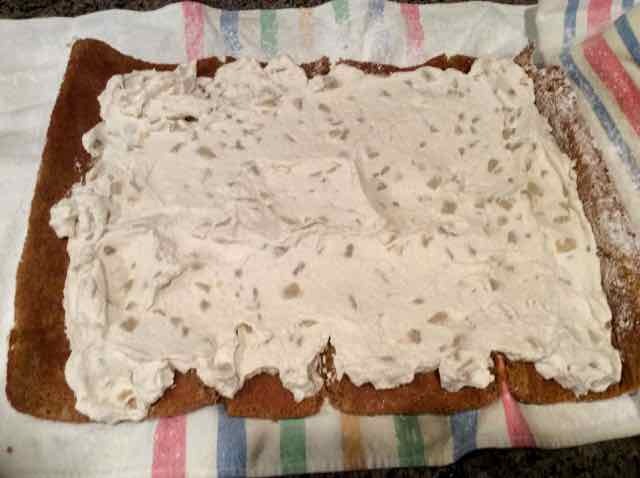 Filling spread onto the cake leaving a ½ inch border. Ends were trimmed with a serrated knife for a nicer presentation. 16) Optional - sprinkle the cake with confectioner’s sugar. 17) Refrigerate the cake for an hour before serving to allow it to firm up. Slice and enjoy. Wrap and refrigerate left overs. You can also freeze leftover slices and thaw before serving. 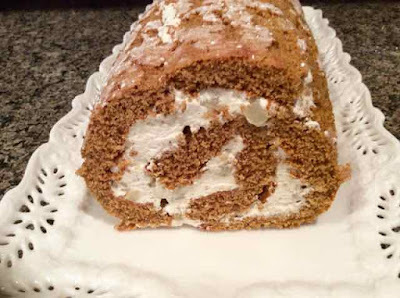 GLUTEN FREE PEAR GINGERBREAD ROLL CAKE GlutenFreeBakingBear.com INGREDIENTS CAKE 3 large Eggs 3 large Egg Yolks ⅔ cup Sugar (I used evaporated cane juice) 2 Tbs. Unsalted Butter - melted 2 Tbs. 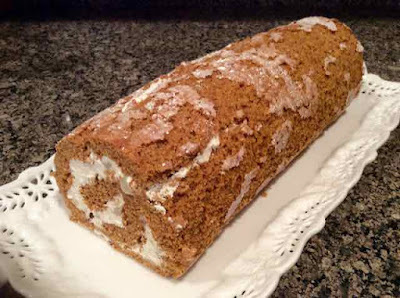 Molasses ½ cup Sorghum Flour ¼ cup Tapioca Flour 2 Tbs. Chickpea Flour 2 Tbs. Coconut Flour ½ tsp. Xanthan Gum 1 ¼ tsp. Baking Powder 1 tsp. Ground Ginger 1 tsp. Ground Cinnamon 1 tsp. Ground Allspice 2 Tbs. Confectioner’s Sugar - to sprinkle on the dish towel FILLING 2 medium Pears - peeled, cored and finely chopped 1 Tbs. Unsalted Butter 1 tsp. Sugar 1 tsp. Vanilla Extract pinch Ground Cinnamon pinch Ground Ginger 1 cup Heavy Whipping Cream 2 Tbs. Confectioner’s Sugar ½ tsp. Ground Cinnamon ¼ tsp. Ground Ginger DIRECTIONS 1) Preheat the oven to 375℉. 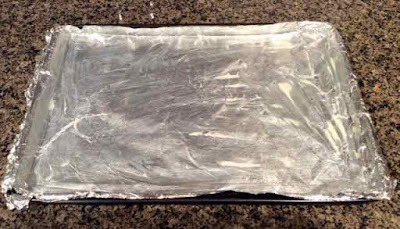 Prepare a 15x10x1-inch jelly roll pan by lining it with foil and then greasing the foil well with butter. Set aside. Spread a dish towel (not the fuzzy kind) out flat on the counter and sprinkle the 2 Tbs. of confectioners sugar evenly over the towel. 2) In a large bowl or the bowl of a stand mixer beat the eggs and egg yolks with the ⅔ cups sugar for about 5 minutes or until they become thick and pale yellow in color. 3) Add the butter and molasses and mix in. 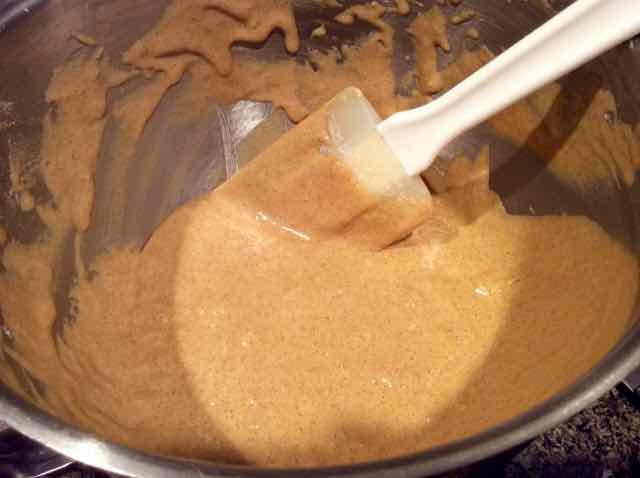 4) In a separate bowl add the flours, xanthan gum, spices and baking powder and mix well. 5) FOLD the flour mixture into the egg mixture using a large silicone spatula. It should be folded in and not mixed in to add volume and lightness to the cake. 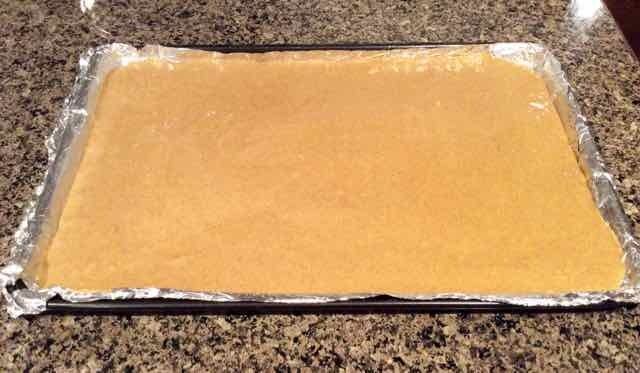 6) Spread the batter evenly into the prepared jelly roll cake pan. 7) Bake for 9-11 minutes or until the center springs back when touched lightly with a finger. 8) Allow the cake to cool for 5 minutes and then turn it out onto the prepared dish towel. 9) Remove the foil carefully. Beginning at the short end roll up the cake in the towel. 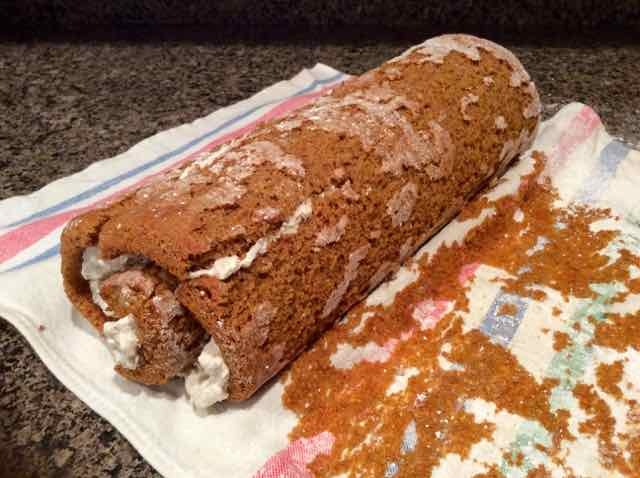 Set the cake rolled in the towel on a rack (with the seam side down) to cool completely. 10) While the cake is cooling make the filling. 11) Peel, core and chop the pears. 12) Heat a small skillet on medium heat and melt the butter. Sauté the pears in the butter until tender. While they are cooking add the tsp. of sugar and the pinch of cinnamon and ginger to the pears. Stir frequently allowing the excess liquid to evaporate. When done, remove the pan from the stove and stir in the vanilla. Cool the pears completely before using in the rec-ipe. 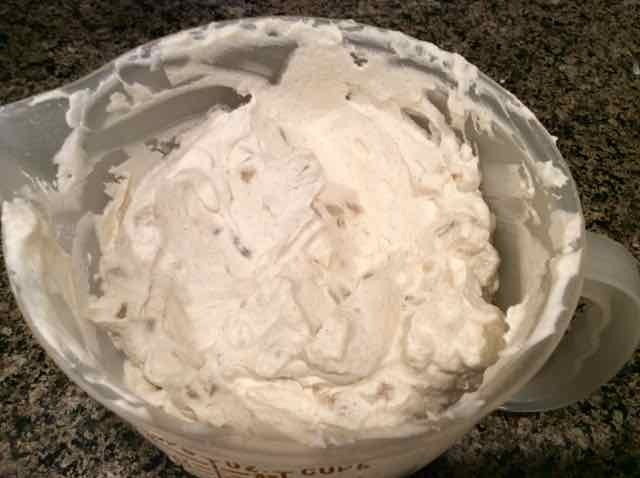 13) In a large bowl beat the whipped cream, 2 Tbs. confectioner’s sugar, cinnamon and ginger and beat on high until stiff peaks form. 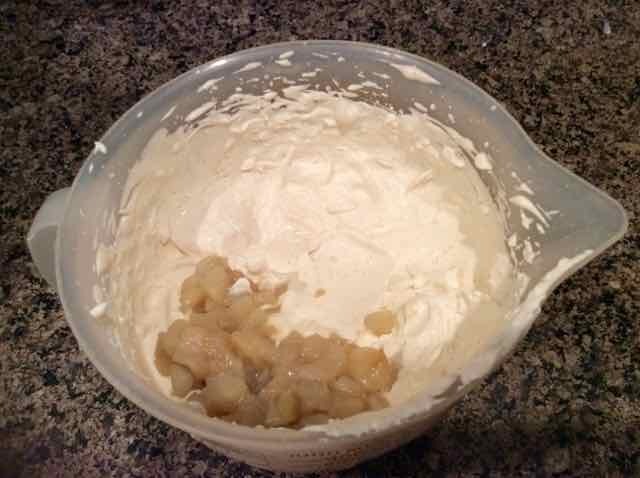 14) When the pears are completely cooled fold them into the whipped cream. 15) Unroll the cake. Spread the filling evenly over the cake leaving a ½ inch border around the edges. Roll up the cake (without the towel) and place seam side down on a serving platter. You can trim the ends with a knife to make a nicer presentation (and give the baker a treat). 16) Optional - sprinkle the cake with confectioner’s sugar. 17) Refrigerate the cake for an hour before serving to allow it to firm up. Slice and enjoy. Wrap and refrigerate left overs. You can also freeze leftover slices and thaw before serving.